Chapel Bridge, originally built in 14th century, is one of the oldest wooden covered bridges in Europe. In 1993 however, a large part of the bridge, along with some 85 paintings from 17th century, were destroyed in a fire. The bridge was fully restored in less than a year while the paintings were replaced by other paintings (from the same bridge) that had been kept away in safe since early 19th century. The tower adjacent to Chapel Bridge, Wasserturm (or Water Tower), is older than the bridge by a few decades. 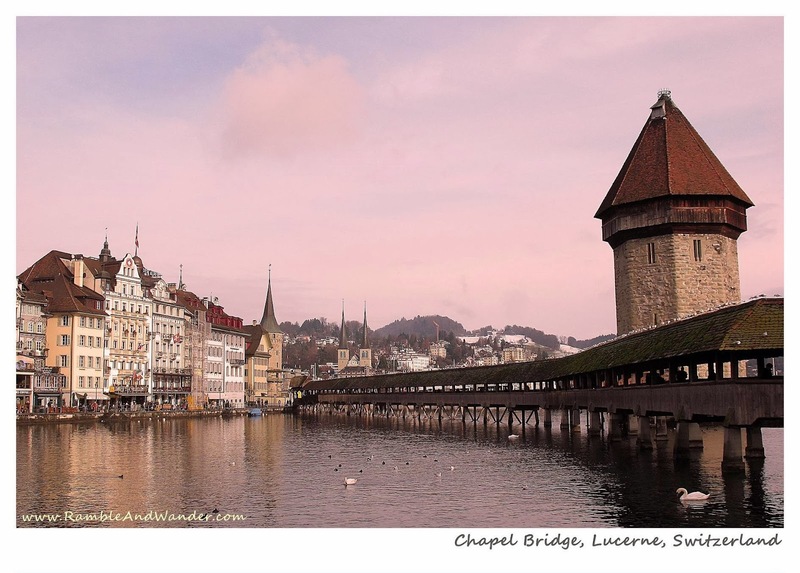 It had been a prison, torture chamber, watchtower and treasury for the city of Lucerne at one time or another in the past. Today, it houses a local association and is not opened to the general public. Honeymoon kat sinilah nanti, haha!